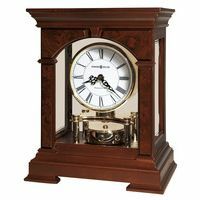 Hermle Dartmouth handcrafted regulator made out of solid mahogany with curl veneers. 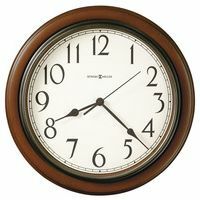 Inlays in light color are giving this clock a typical English look, in combination with beveled glass on all three sides. 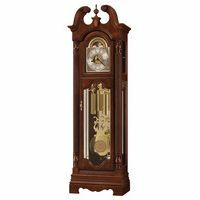 The 8-day German Hermle 4/4 Westminster chime keywound mechanical movement has automatic night-shut-off, second hand, filigree hour and minute hand and a grid pendulum.